All 30 applicants were excellent and made the decision of the LNHL Bursary Committee quite difficult. Thank you to all applicants and we wish you continuing success in your post secondary studies. Congratulations to the recipients - we are very proud of you! The Bursaries and Awards will be handed out on Championship Day at 1 pm at Iceland Arena. Five (5) scholarships in the amount of one thousand dollars (1000.00) will be awarded to five (5) individuals who meet the criteria. See application details below. 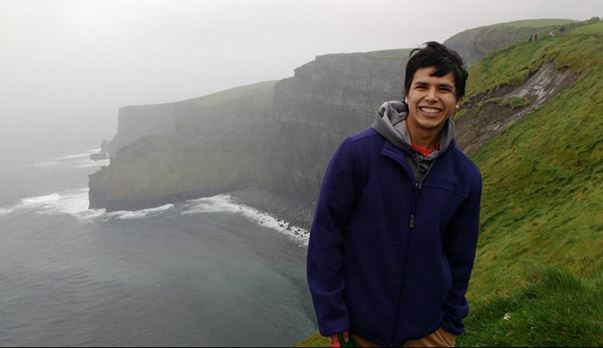 Keiran Pelletier is from Wikwemikong Unceded Indian Reserve and is currently on a student exchange program at the Limerick Institute of Technology in Thurles, Ireland. 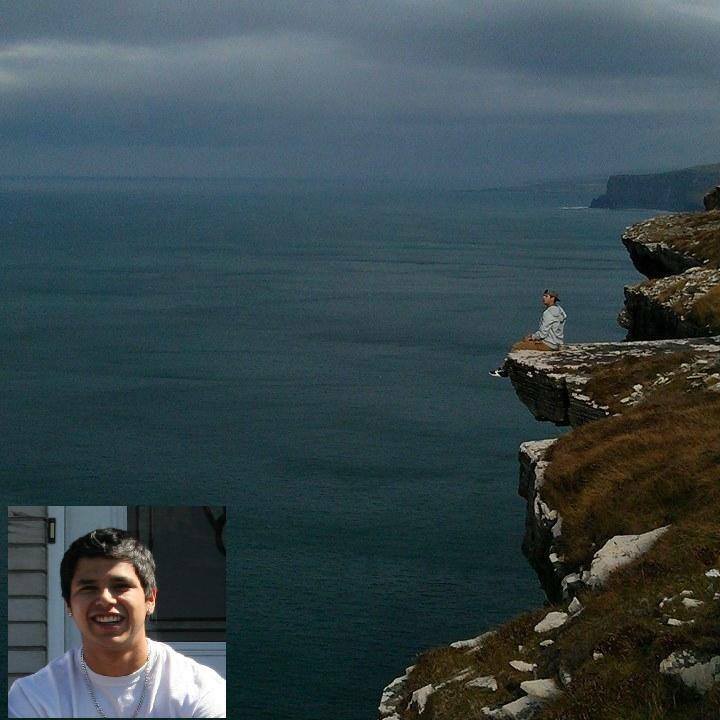 Keiran was chosen to be one of the first two students to participate in this student exchange program. He is enrolled full time in the Strength and Sport Conditioning Program at Limerick Institute of Technology. This past year, he graduated and received a Diploma in Strength and Sport Conditioning from Canadore College. Keiran played in the Little Native Hockey League tournament from tyke to Midget. 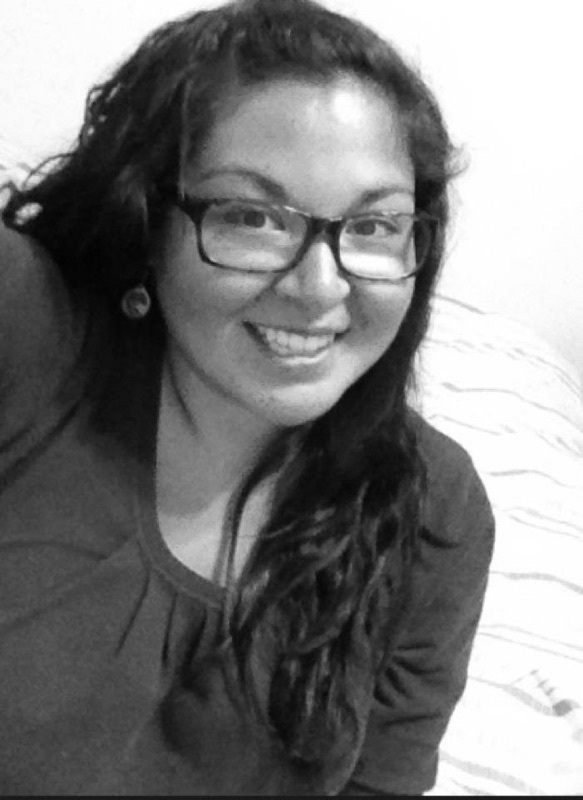 Mercedes Pegahmagabow is from Wasauksing First Nation and resides in Parry Sound. She is in her third and final year of the Chemical Laboratory Technician program at Seneca College of Applied Arts and Science. “Growing up, I moved around a lot for school and hockey, so I was never around my M’Chigeeng friends that much, but this tournament brought us all back together. My memories of LNHL include lots of laughs, lots of friends, lots of hockey, lots of good food, and lots of family all in one place. I couldn’t ask for much more than that. 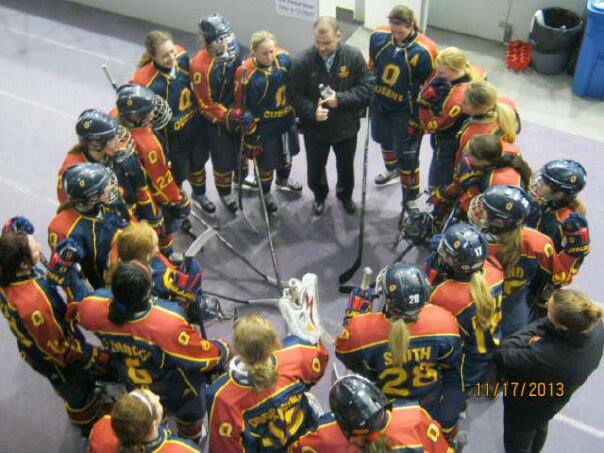 LNHL has taught me to not take anything too serious, be respectful, and always reminded me to play for fun”. Jeremy Couchie is from M’Chigeeng First Nation and resides in St. Catherines. He attends Brock University and is enrolled in the Medical Sciences program. He plans to further his education by applying to Laurentian University in the Medical School program. He aspires to become a physician or physiotherapist. 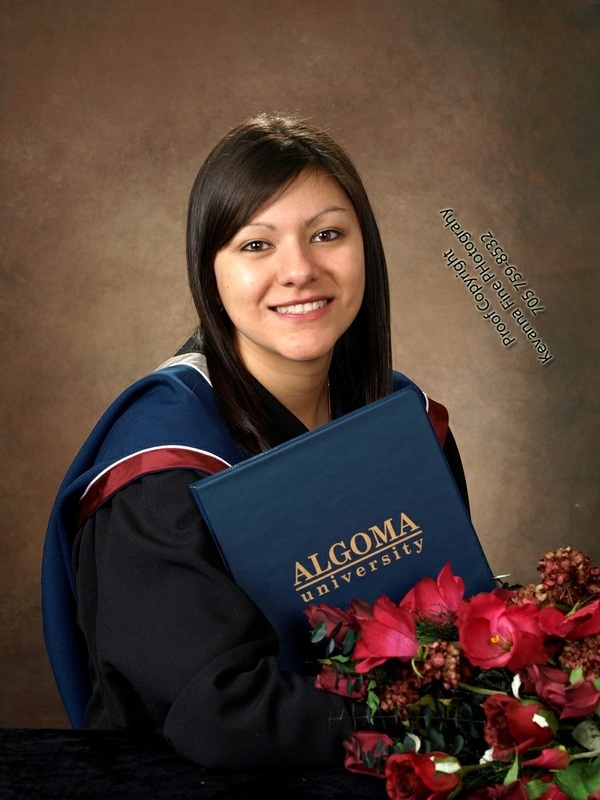 Gerrilynn Manitowabi is from Wikwemikong Unceded Indian Reserve. 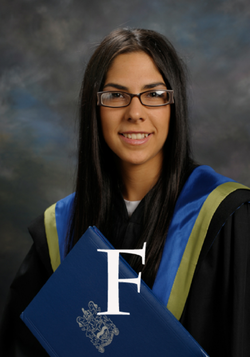 She is currently enrolled in the Master of Public Health program at the University of Western Ontario in the Schulich School of Medicine and Dentistry. 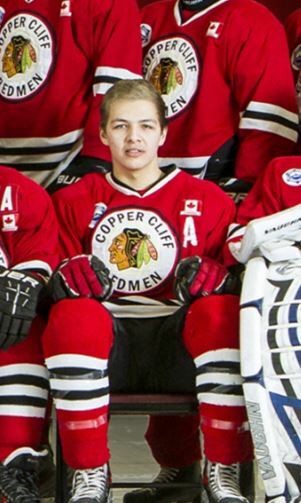 “The Little Native Hockey League gave me the chance to grow as a person. I became confident, patient, learned respect and especially teamwork. 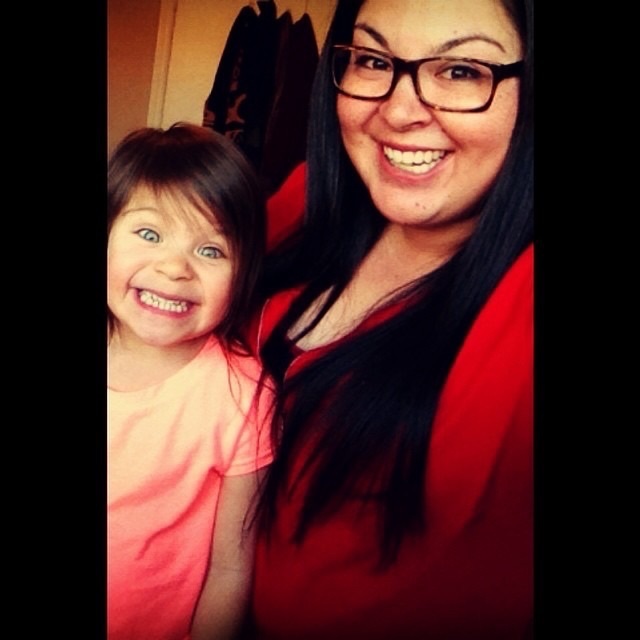 As a young Anishnaabe woman I learned to be proud of my culture, community and my people”. 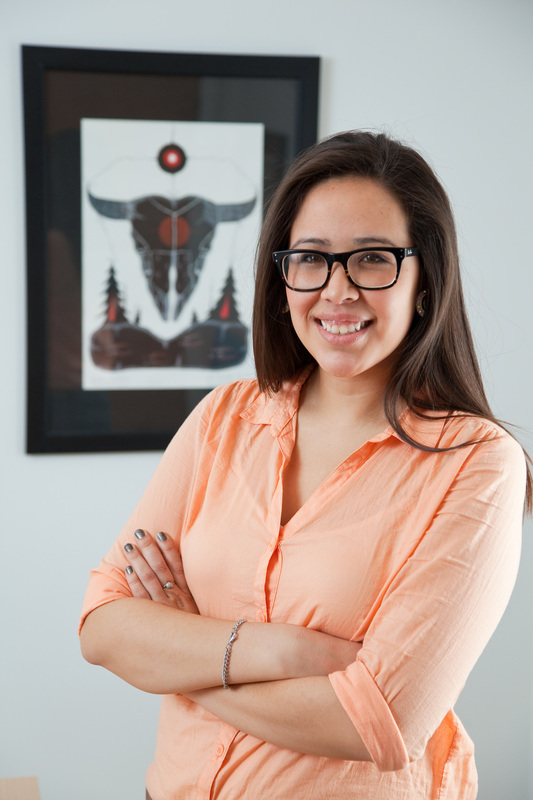 Natasha Lewis is from Wikwemikong Unceeded Indian reserve. 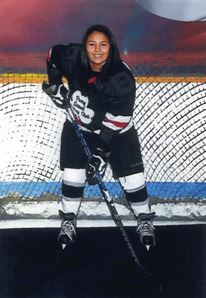 She had the honour to represent her community at each Little Native Hockey League tournament from Tyke to Bantam. 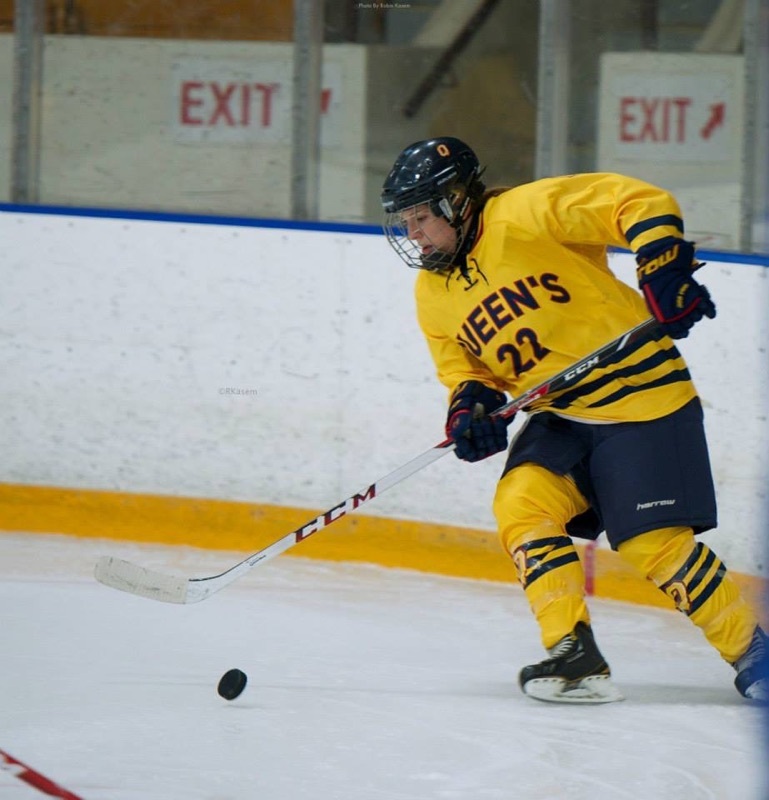 Natasha is in her first year nursing (fourth year post-secondary studies) at Cambrian College, a degree affiliated with Laurentian University. 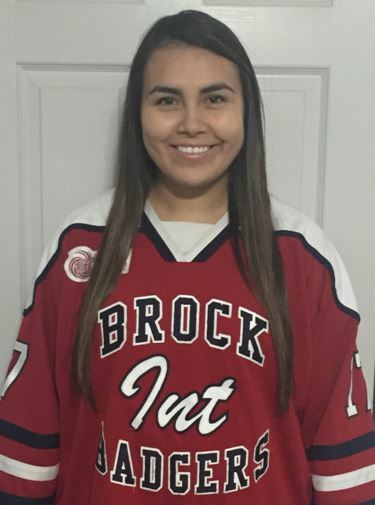 Deidre Debassige is from M’Chigeeng First Nation and is currently enrolled in the Psychology Honours program at Brock University. 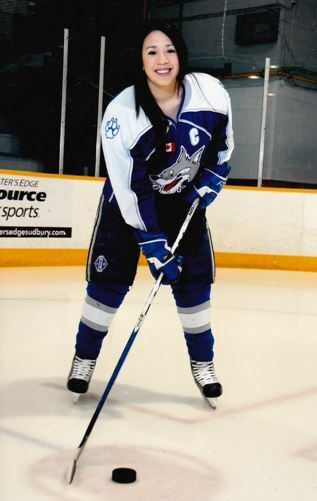 Deidre has played in the LNHL from Tyke to Midget and is playing for the Brock Jr. Badgers hockey team. In addition to her course work in the Psychology program, Deidre is working toward obtaining her certification as a personal trainer. Having completed one full year of post-secondary education, I am proud to say that I have done exceptionally well and am eager to continue my education. I finished my school year with a 3.45 GPA and received a Level 1 Inclusions Workshop Certificate, which promotes access, awareness and adaptive activities for people of various abilities. This current year has been very exciting for me because I was chosen to be one of the first two students to participate in a student exchange program between Canadore College and the Limerick Institute of Technology (LIT) in Thurles, Ireland. I am enrolled full time in the Strength and Sport Conditioning Program at LIT and I am very grateful for the opportunity and being chosen was based on grades, overall skill, attitude and understanding of my program. With the exchange I will obtain my College Diploma this year (year 2). Upon receiving this diploma I can then pursue a 3rd year and achieve my Bachelors of Science Degree. The 4th and final year, I can pursue my Masters degree. Ultimately I am presented with the opportunity to get a Diploma, a Bachelor of Science Degree and a Masters Degree in Sport and Strength Conditioning, in 4 years. I also plan to pursue an education in Physiotherapy because it works hand in hand with the degrees and career I am pursuing. Once finished school I want to work with non-professional and professional athletes and non-athletes, in the area of weight training for sport or to simply improve health for daily living. Physiotherapy would allow me to combine the weight training with rehabilitation. We are encouraged to volunteer by our parents and so I have been involved in helping to facilitate Cultural Day Camps for Cadets in North Bay. It is held at Canadore College and my role involves giving a short presentation on Lacrosse, its Aboriginal History, teaching some fundamental skills and then organizing and supervising a short game. I also had the opportunity along with my family to host a similar event for a Delegation of Educators from China. I was a volunteer coach with the youth lacrosse league in North Bay over the course of the summer. I helped a 2nd year student in my program that was completing full certification as a weightlifting coach by volunteering to be trained in Olympic lifting. His certification and final marks were based on my completing the training requirements and also completing 4 successful lifts in the competition. I am happy to report that he received his full certification and I successfully completed the competition, which was my first ever, with a 4th place finish. Last but not least, I volunteered at two different local Olympic Weightlifting Competitions; One being the Ontario Weightlifting Associations 2014 Scholastic Championship and the other being the North Bay 12th Annual Ray Hamilton Classic Weightlifting Competition. I was diagnosed with Attention Deficit Hyperactivity Disorder (ADHD), when I was 13 years old. I have been very fortunate to put many strategies into place that have helped me to be successful in school. I have been given the opportunity to share those strategies by giving presentations in two First Nation Communities, on ‘Living and Succeeding with a Mental Illness; Attention Deficit Hyperactivity Disorder (ADHD)’. Going through high school the main issue I faced was my diagnosis of Attention Deficit Hyperactivity Disorder (ADHD). ADHD is classified as a mental illness that makes me hyper, impulsive and inattentive. It is not considered a ‘learning disorder’ although it directly impacts my ability to learn, so succeeding in a school environment was hard. I began taking medication daily (school days only) to help with my ADHD, but it took the full four years of high school to find a medication that was effective as well as having the least amount of side effects. Because I was inattentive, I struggled to pay attention to what was going on in the classroom; I missed important announcements, dates and notes in class, I also had a hard time completing school work, tests, exams and notes because I often couldn’t stay focused long enough to finish. This ‘inattention’ led to a common belief among some of my teachers that I had a bad attitude and this got me into trouble. Now, I’m not saying I didn’t need a bit of an attitude adjustment going through high-school, because I will be the first to admit I did; but my actual attitude problems and the “attitude problems” they had associated with the inattentiveness aspect of my ADHD, were and are two completely different things. Secondly, being impulsive (thinking or acting without consequence), I was often disruptive in the classroom. I am opinionated and my parents have always encouraged me to advocate on my behalf. There were times when authority figures tested my opinion or beliefs and I would argue my side without thinking it through. My parents worked hard to teach me the skills advocacy and diplomacy. Furthermore, the impulsivity was also a contributing factor to skipping classes. Finally, being hyper-active, I struggled to sit through classes, some teachers understood my diagnosis and would let me leave the room for ‘breaks’, but not all teachers did. Even the most patient and understanding teacher would grow impatient with my requests to leave the room, get a drink or grab something from my locker (that I had forgotten there). I would often get into trouble for being overly distracting or interruptive in class (talking to other students, not raising my hand or answering questions before I was asked). School can be a great place to be with friends and to socialize, but it is also a very structured environment and my struggles with ADHD affected my motivation to not only excel in school, but to attend school as well. In my Grade 12 year, I still didn’t have any idea about career choices once I graduated. I was too immature to realize the importance of a good education and I also had a belief that I could, without compromise, do things my own way. I do not have any learning disorders and am a very good student when I apply myself, but as a result of all of this I would often skip classes and school days, and when I wasn’t absent I was more than likely tardy. I would also not hand in or complete school work or tests, and when I look back now, this was inexcusable. After graduation I decided not to go back for the upcoming year. I did not have any idea about a career and even if I did, I wasn’t even sure my grades were adequate for post secondary. I also understood that I wasn’t mature enough to move away from home and enter into a post-secondary institution. I had struggled with high school enough as it was and I didn’t want to take on a task that I knew was going to be much more challenging. I moved to Ottawa and learned to live away from home and it gave me the opportunity to mature. I also did a lot of athletic training and gained a fair amount of personal knowledge which later turned out to be extremely helpful. The maturity and new knowledge led me to realize what kind of career I wanted to pursue and just how I was going to do it. Since being back in school, I have set up a support network for myself to help ensure my success. I have made the schools (Canadore and LIT) aware of my ADHD; I take my medication daily which helps to reduce the symptoms of my disability. I also use all the specialized services available as a resource for success. I schedule my time accordingly (doing homework right after school, before my medication wears off), set routines for myself (including workouts, nutrition and exercise), set aside one extra day (either Saturday or Sunday) to take my medication in order to complete homework and assignments. Other than having to work extra hard on tests, assignments and other school activities the only other problem I encountered during school was finances. Between rent, school, recreational activities and everyday living expenses, budgets were definitely tight. 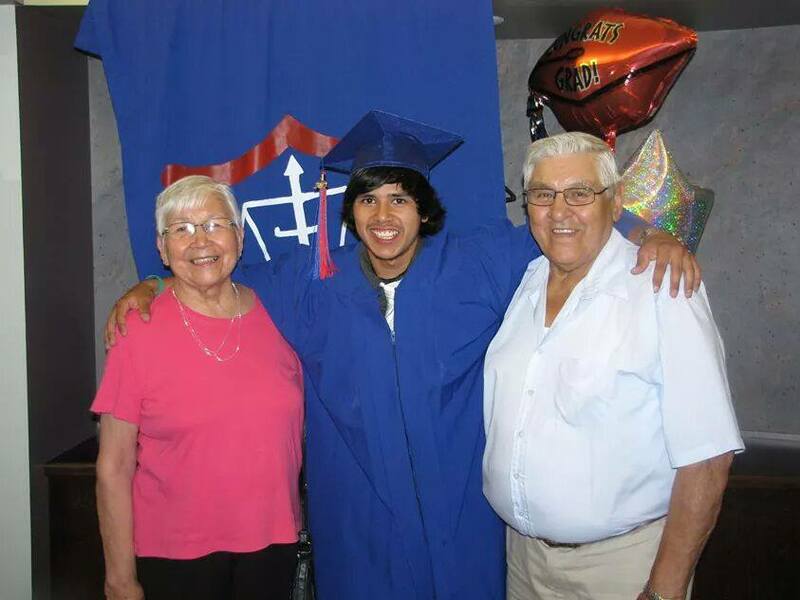 However, I am a funded student and with the help of a bursary I was awarded later in the year, I was able to make it through the year comfortably (I lived with my parents while attending Canadore, but because I am a funded student, I was required to help with the living expenses at home). The financial challenges I am focused on however, are the ones that are presented to me in my current year of school and into the next 2 years as well. I have been living in Thurles, Ireland since September and will be here until May 2015 (I come home to North Bay, just in time to Graduate with my Diploma). The exchange rate between the Canadian dollar and the Euro has shrunk my funding to almost half while trying to cover increased rent and living expenses. I have saved money from my summer employment and am working hard to make it last for the entire 9 months that I am here. I cannot find employment here as I am on a student VISA. Being awarded a bursary, would certainly help to make ends meet and to reduce cumulative debt. I am doing very well at LIT and have been able to achieve some of the highest marks in my classes. My goals are achievable, especially with the level of interest and dedication I have developed for the field of work I am pursuing. I plan on achieving these goals through my exceptional study habits, the use of the school resources, by ongoing training and learning in weightlifting and coaching through hands on and real life experience. My next steps are big but I am ready to not only face these challenges, but to also continue to excel. The Little NHL has had a very positive impact on my life. As stated earlier, we moved away from home when I finished my Grade 7 year and I began Grade 8 here in North Bay – new home, new surroundings, a lot of pretty big changes. I have always participated in sports and worked hard to make teams here in North Bay. I was a new player, nobody knew me, and so it was difficult to make teams. But at the end of every hockey season, I knew that the Little NHL was on the horizon and there was always a growing excitement to just get to march break. The Little NHL gave me that chance to re-connect on a personal level (my friends and family were there to watch), on a community level (I belonged somewhere and everybody knew who I was and I could ride the wave of community pride) and in a sporting level (we play for the simple ‘love of the game’ – without all the politics – with the opportunity to play the game we love, with friends, without the craziness of ‘organized elite’ sporting politics). The other positive impact that it has had is that I gave you a history of my struggles at school when I was younger – the Little NHL gave me an ‘arena’ to succeed, to be more than the kid who struggled at school. It was a break from the stress and negative feedback that I was familiar with during my elementary and secondary school years. The atmosphere at Little NHL is such a positive one, with not only your community cheering for you, but more often than not, the other community appreciating you as a player for your skills, sportsmanship and heart. This short, fast paced week gave me the chance to be like everyone else and I appreciated that occasion every year. Playing in the Little NHL is one of my favourite past times. Not only was it an opportunity for me to play some great hockey, but it was a time to experience a hockey atmosphere that was filled with support and new friendships and pride. I have met a lot of amazing people at the Little NHL, both on my team and around the rinks that continue to have a positive impact on my life. Playing hockey at the little NHL reminded me why I love this game so much and why I will continue to push myself to the next level. The little NHL brought me back to when I first stepped on that ice and the automatic love I felt for the game of hockey. It was this simplicity that inspired me and reminded me every day that playing hockey at the university level was not only something I could accomplish, but something I could excel at. I bring the support and passion that I experienced in the Little NHL with me in every game, every workout and every practice as I strive to be better than I was the day before. Lastly, hockey has inspired me to grow off the ice as well. Currently I am studying environmental science at Queen’s University. I have always had a passion for science and learning and through hockey I have learned how to push myself and set goals allowing me to delve further into the science world. I believe that I am deserving of this award because I have worked extremely hard to get to where I am today. 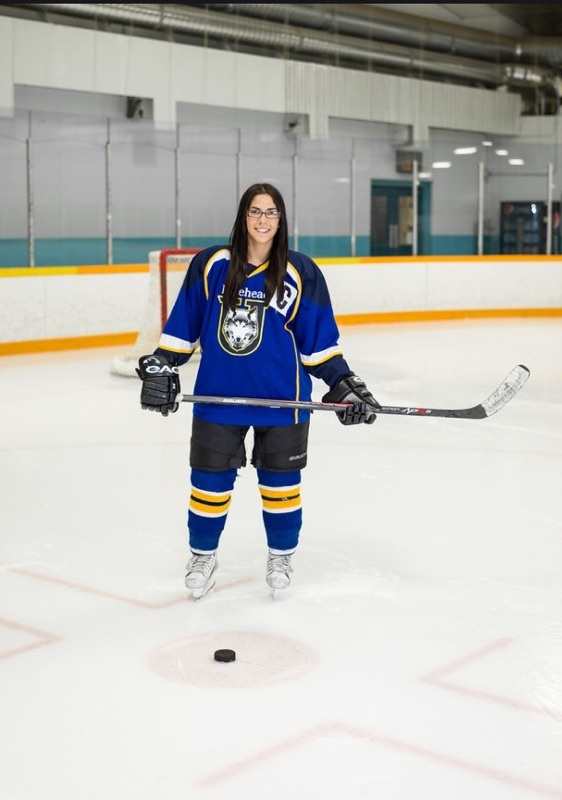 Being involved in the Little NHL since a young age, gave me a sense of who I was as an Aboriginal person and it made me proud to be a part of something that was so special to many First Nations people. During the 35th anniversary of the tournament, my brothers and I had the opportunity to work with CTV and produce a television commercial which was used for marketing purposes during that season. Being a part of this tournament, and sports in general, kept me very busy outside of school which made me work harder in school because I knew I wanted to go to university. I started attending the tournament when my younger brothers played, before I started to play hockey and I looked forward to the tournament every year. Once I started playing my anticipation for March Break to play in the tournament grew larger. I looked forward to meeting new people and catching up with friends and family who I didn't get to see much throughout the year because of everyone’s busy lifestyles. Having an entire week of hockey is amazing to people who love the game. I couldn't imagine spending my week doing anything else. Once I got to University, and was not longer able to actively participate, it was upsetting as I missed being able to attend the tournament because it was too much work to take the time off. It was hard at first, but it made me look forward to the day when I have my own family, nieces and nephews and can go watch them play. 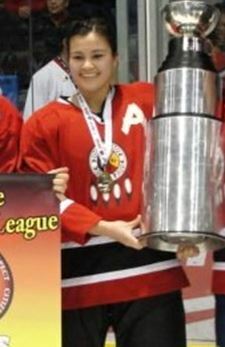 The best highlight of my Little NHL career was the year I moved up to play in the Senior Girls Division with AOK and we won the A Championship that year, as well as the following year. The girls' division was still very new to the tournament at that time, but it was a great accomplishment. Since then I have felt with hard work and determination you can achieve great things. In high school, I was selected as an Aboriginal Role Model for the Rainbow District School Board and since then I have worked hard to try and maintain that to show other First Nation students that if you put in the work, you can be successful and achieve what you set out too. That is also why I wanted to be a teacher; to inspire other First Nations students that you can achieve anything when you work hard. Attending Little NHL was more then playing hockey; it was a time to create meaningful relations with youth throughout all over Ontario. It is a week when Aboriginal youth can be proud of their heritage and to represent their community. Little NHL has taught me how to respect not only others, but myself on and off the ice. Something that has stayed with me and has helped me succeed at university. I believe I am great role model for the youth of my community. I still enjoy attending Little NHL every year to watch family, friends and community member’s play. I work hard at university in hopes that one day I can give back to my community."